I don't know if it ever left. In a press release today, Tom Biscardi's SearchingForBigfoot.com announces the ONDEMAND availability of three Bigfoot movies. For those believers that have had a Bigfoot sighting, or for those just interested in the undying legend of the mythical beast, Bigfoot is back in a big way and a series of Bigfoot films are now available ONDEMAND. The movies “Anatomy of a Bigfoot Hoax,” “Bigfoot Lives 2,” and “In the Shadow of Bigfoot” can be watched 24 hours a day, 7 days a week by Bigfoot fans and skeptics. “Anatomy of a Bigfoot Hoax” is a film about the true 2008 story of the frozen Bigfoot “body” that turned out to be a costume stuffed with the body parts of several kinds of dead animals. It is an amazing document of the hoax that shocked the world. 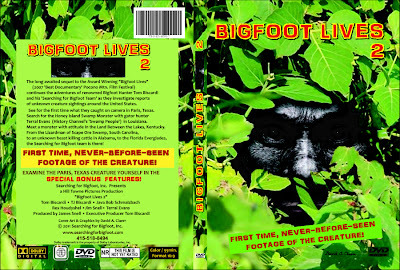 “Bigfoot Lives 2″ is about famed Bigfoot researcher Tom Biscardi’s recent investigations into Bigfoot sightings across America, including new, real, actual footage of the creature. “In the Shadow of Bigfoot” features footage about Bigfoot-type creatures that many people have never seen before… footage you won’t find on the internet…footage that you will only see in this film. All three Bigfoot films are now available on Verizon FiOs, Charter, AT&T U-Verse, Rogers (Canada), Mediacom, Cogeco(Canada), Suddenlink, RCN, Eastlink Communications (Canada), Bresnan, Frontier, Wave, Blue Ridge, Atlantic Broadband, Bend, Access Communication (CCSA), HTC, Click, Hargray, Cincinnati Bell, Source Cable (CCSA), NorthwsTel Cable (CCSA), Bluewater (CCSA), Seaside (CCSA), NTELOS, Burlington Telecom, James Valley, Enhanced Telecom, Morristown, Tullahoma Utilities and Valley Communications. 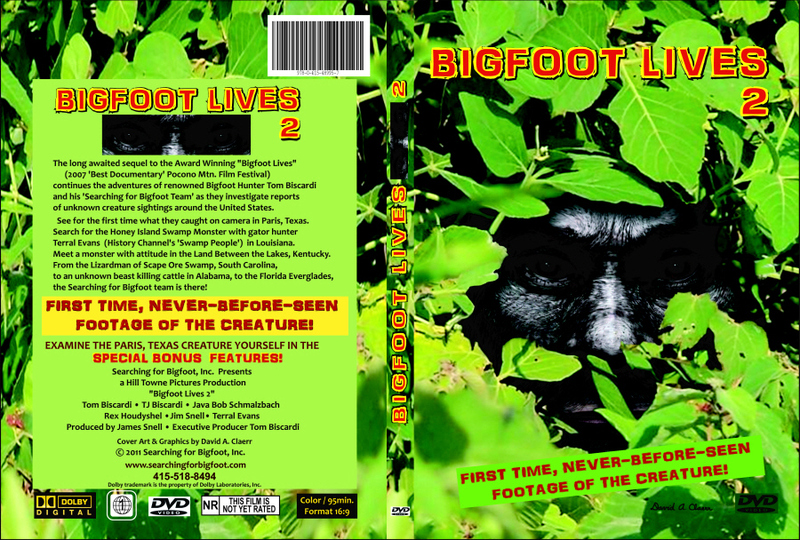 In addition to ONDEMAND, “Anatomy of a Bigfoot Hoax,” “Bigfoot Lives 2,” and “In the Shadow of Bigfoot” are also available on DVD through Searching For Bigfoot, Inc. at www.searchingforbigfoot.com.